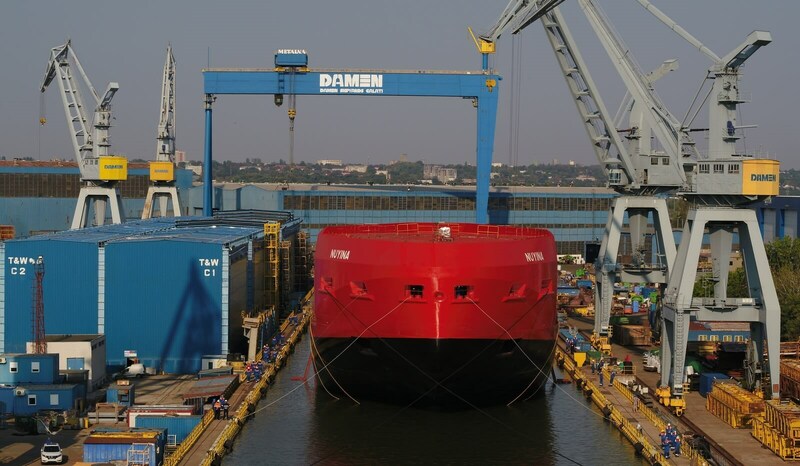 Damen has carried out the successful floating of the Antarctic Supply Research Vessel (ASRV) RSV Nuyina currently under construction at Damen Shipyards Galati. The carefully executed procedure was achieved by raising the water level in the yard’s dry dock by six metres; a process taking two days to complete. Once afloat, the vessel was manoeuvred 250 metres to a quayside berth where the ongoing construction and outfitting process will take place. 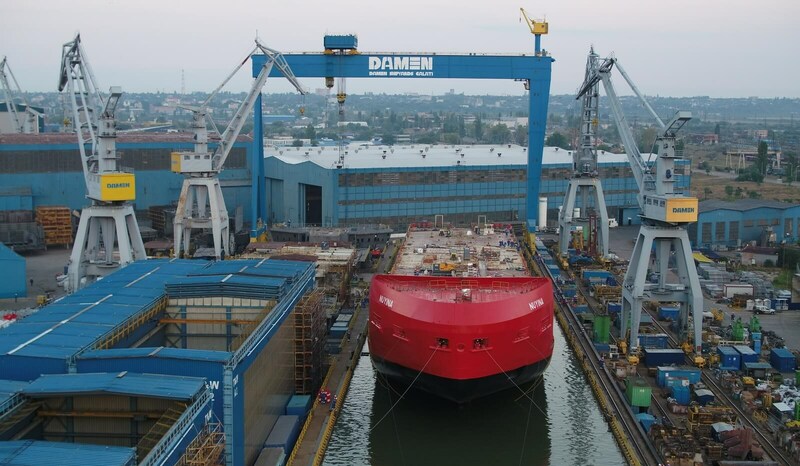 Damen is building the 160-metre long ASRV for Serco subsidiary DMS Maritime on behalf of the Australian Department of the Environment and Energy. The vessel has been designed with a multi-mission role in mind. It will keep Australia’s three permanent research stations on the Antarctic continent and its research station on Macquarie Island supplied with cargo, equipment and personnel. Additionally, it will serve as a fully equipped research laboratory facility for up to 116 scientific staff. Construction of the vessel began in August 2017 with a ceremonial keel-laying ceremony. Building from the keel up, the build process has reached the fourth deck level in that time. Now that the vessel is afloat, construction will continue with the positioning of pre-fabricated superstructure blocks, bringing the finished vessel to its full 10-deck height of just over 50 metres.